Description: Phragmites is a perennial reed grass growing 5-10 feet at maturity. Phragmites grows in dense stands with a network of below-ground rhizomes. Stiff hollow stalks support long pointed leaves 1-2 inches wide. Flowers form bushy panicles, which are usually purple to golden. Mature seeds appear grey and fluffy as the seeds sprout hairs. Flowers form bushy panicles, which are usually purple to golden. Mature seeds appear grey and fluffy as the seeds sprout hairs. Habitat: Grows in brackish or freshwater marshes, river edges, roadsides, or any disturbed wet area. 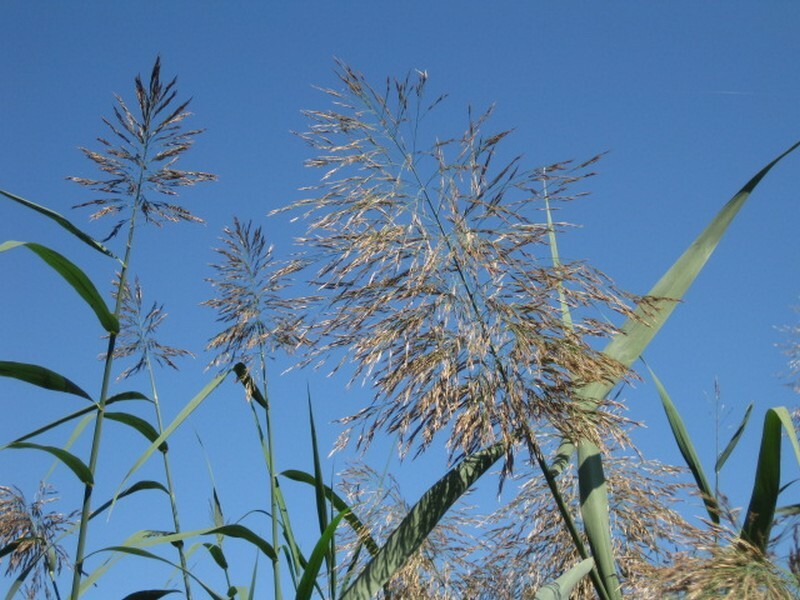 Phragmites is halophytic, meaning it thrives in salty environments. Invasive Traits: Extensive rhizome networks help phragmites spread quickly underground, sending up shoots at regular intervals from one root. Rhizome fragments reproduce vegetatively when dispersed through waterways. 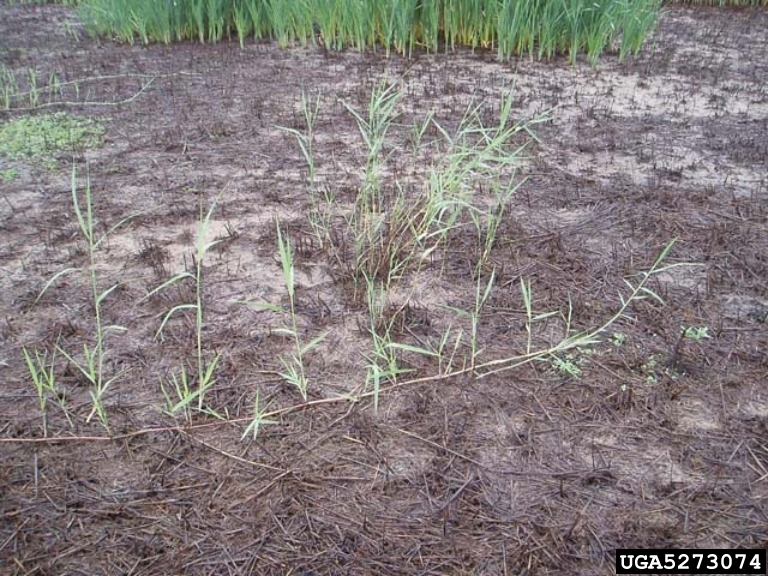 Phragmites sends up shoots along very long rhizomes. Control: Small stands can be controlled with repeated mowing, though once phragmites stands become large, they are nearly impossible to control by mechanical methods. Herbicides can be applied via foliar spray or cut stem methods. Attempts at manual removal are likely to spread root fragments downstream or to new sites on machinery. 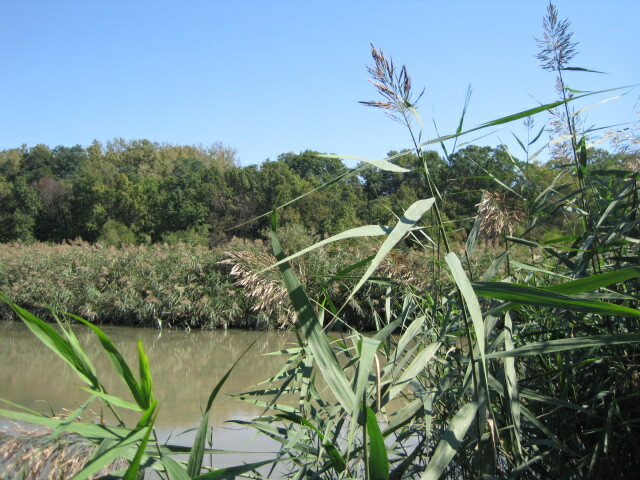 Herbicides must be approved for use in aquatic systems.